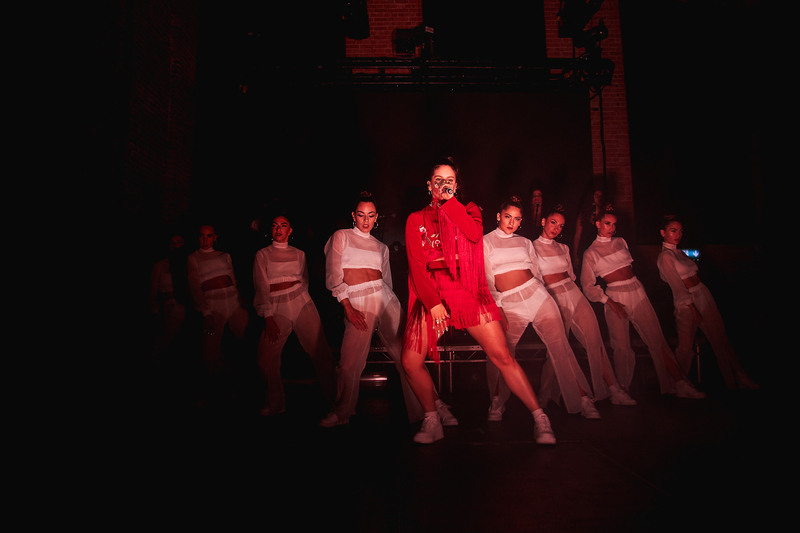 There was barely any space between the rising new-flamenco, art-pop sensation Rosalía and her audience at London’s Village Underground on Wednesday night, but even without that physical proximity, her first show in London felt like a remarkably intimate affair. 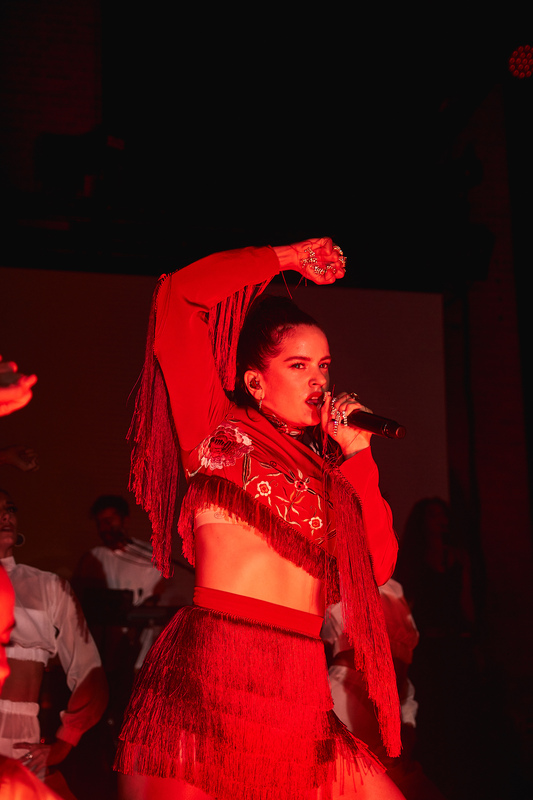 Leading the night with her major hit single ‘Malamente’, which has had twenty-three million views since the music video’s release four months ago, Rosalía would prove time and time again what a force of talent she is – transitioning from choreo-driven moments to vocal acrobatics without stopping for a breath. On ‘Catalina’, from her 2017 debut album Los ángeles, her voice’s immense power was instantly apparent; it was striking to notice the complete silence from the crowd as she sung – a seeming mixture of awe and respect for what was being experienced – only broken by brief periods of cheers and applause whenever a chance presented itself. 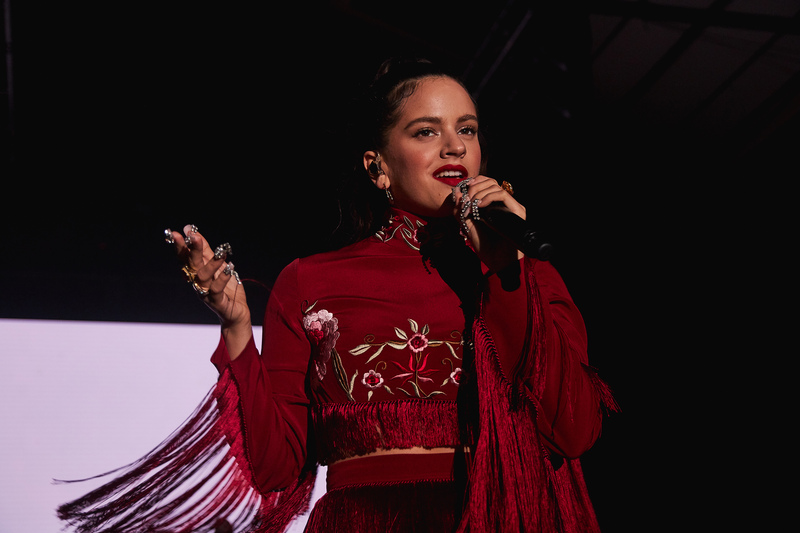 Later in the night, she’d perform second single ‘Pienso En Tu Mirá’ and an encore performance of ‘Malamente’ again, but for the most part the show served to showcase Rosalía’s unreleased music – a selection of tracks from her upcoming sophomore album El Mal Querer, as well as songs yet to find a home or receive a stand-alone release. ‘Pregón’, which starts off with just a beautiful, haunting vocal loop, quickly evolves into an explosion of sound – with roaring motorcycles and sirens being followed by frenzied, pulsating synths and vocal samples. The more plaintive-sounding ‘Bagdad’ interpolates the main melody off Justin Timberlake’s ‘Cry Me a River’, and ‘De Madruga’ steadily worked the crowd into a unified body of movement through its relentless, hypnotic chants. ‘Aute Cuture’, a bass-heavy banger that – judging by its reception – has become a fan-favourite off its live performances alone was another highlight, but it may have been ‘A Ningún Hombre’ that was the night’s hard-fought winner. Framed by two sheets of light that formed a sort-of staircase to the heavens behind her, and unaccompanied by any instrument sans a vocoder, Rosalía’s vocals were all that held the audience captive – her ability to wield it as she did seemingly almost super human. The effect that song had on the audience was a good way to encapsulate how most of the night went. While it was evident that a lot of effort had been put into the show to create a compelling, cinematic event – lighting, props, and dancers were all employed precisely and efficiently to add to the drama of each number – it was Rosalía herself that made her show the success it was. She seemed to lock in with each member of the audience, and she took them from dancing and jumping to an almost spine-chilling stillness, as claps and chants dispersed to make room for heavier emotions. Most of the time she placed herself at the very front of the stage – for anyone not at the first few rows it would appear as if she was within the audience itself – and it was impossible to not feel the connection being shared. 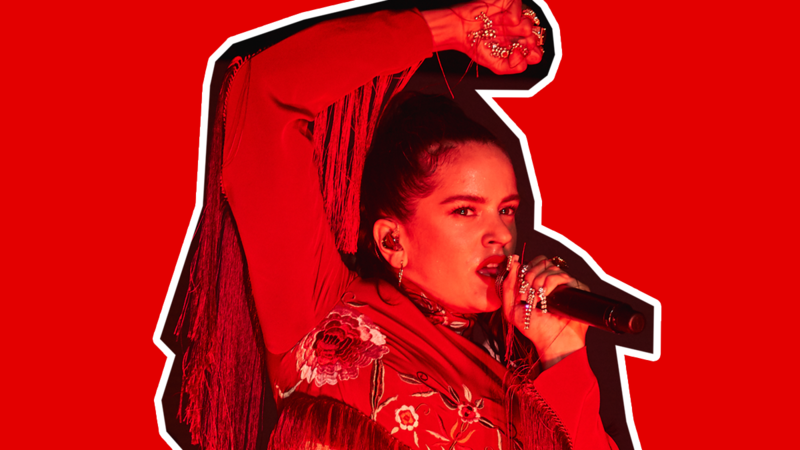 The show’s only interruptions were whenever Rosalía chose to express how grateful she was to share the night with us. It happened a number of times, the words sometimes bursting out of her just before a song began. Each felt sincere. And during her encore, the entire venue was suddenly lit up, casting us in the same colour as the stage, and spotlights that had previously marked it then turned outwards to include us, as if to help express just how genuine her expressions were – and how we were now all a part of her story. Rosalía’s album El Mal Querer is released on November 2nd by Sony Music.